I have always been tempted to order a burned set of roms for my vs. System cab as I have a few of the necessary PPU chips and chip sets are about $20 as opposed to like $100+ for a board. 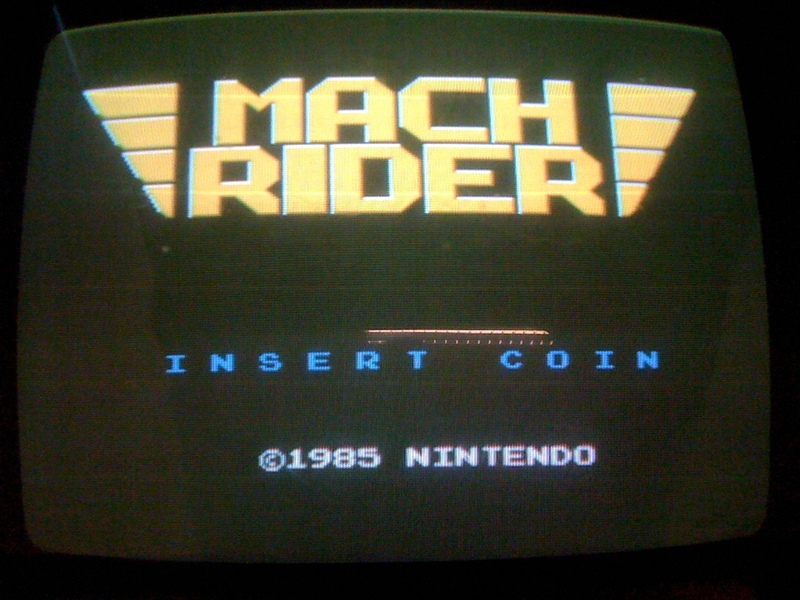 So, I ordered a set of the vs. Mach Rider roms from lilman573 on the KLOV Forums, plugged them into my vs. Golf board (needs that PPU to work right) and we are up and running. 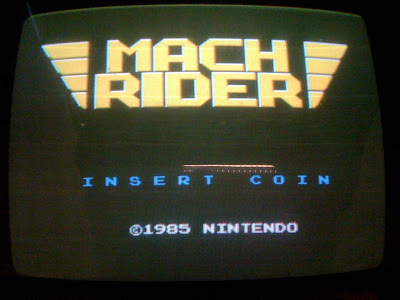 Mach Rider is an early Nintendo title, coming out in 1985 and is basically a futuristic Pole Position, with a motorcycle equiped with machine guns. Awesome. It's a game I have wanted to try out for a while and I'm stoked to give it a run after work tonight in my vs cab at SRAM.